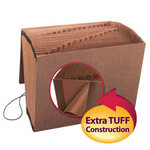 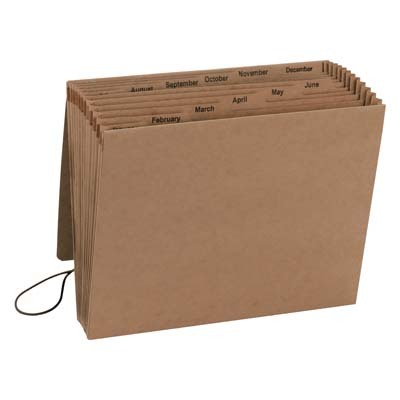 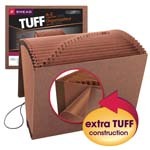 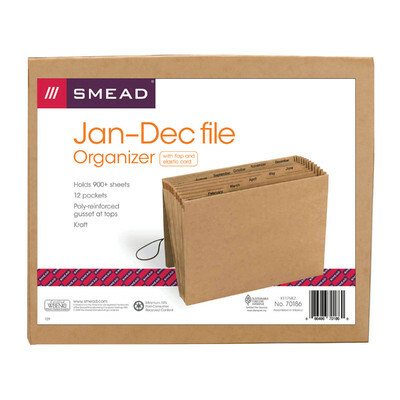 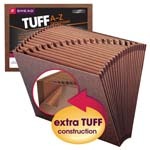 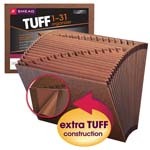 Organize large amounts of paperwork in this heavy-duty kraft organizer. 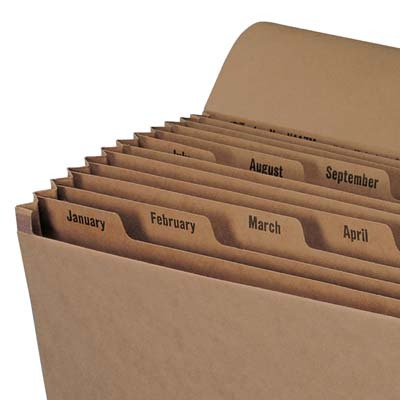 Choose from alphabetic (A-Z), monthly (Jan. - Dec.) or daily (1-31) indexing. 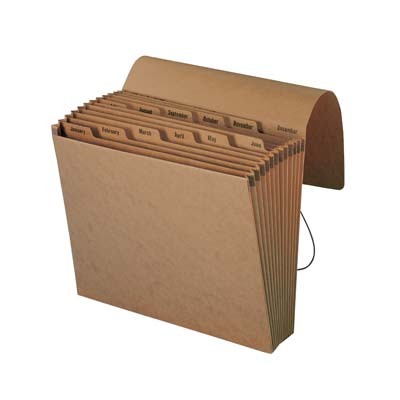 Elastic cord with flap provides extra security.